1. If you wish to backup your current software configuration, click on Menu, then Backup System Parameters. Choose a file name and a location. Then exit the DVR software. 3. Select "DVR Server" in the "Currently installed programs" list, then click "Change/Remove." You'll be asked "Are you sure you want to completely remove the selected application and all of its components?" Choose "Yes." Windows will begin uninstalling your previously installed copy of the DVR software. 4. Once uninstall is complete, click "OK."
5. Go to Start > My Computer > Local Disk (C:) > Program Files. You'll see a folder called "DVR Server." Right-click the folder and choose "Delete." You'll be asked "Are you sure you want to remove the folder 'DVR Server' and move all its contents to the Recycle Bin?" Choose "Yes." 6. Go to Start > Right-click on My Computer > Properties > Device Manager. Click on the Hardware tab. Click on the plus sign next to "Sound, Video, and Game Controllers" to expand the menu. You should see a device that is copied several times. (If you are upgrading an HC2 or HC3 card, these drivers will be listed under a device starting with "MT", H.264, or DHVECWDM in your Device Manager.) These are your device drivers for your DVR Cards. Right-click on each driver and select Uninstall. 7. Now, follow the instructions listed above under "First Time Installers." Click here for a complete list of updated software features. IMPORTANT: Read the included PDF instructions or watch the video (top of this page) before installing. If upgrading from v6.16 or earlier, you will lose all your previously recorded footage after running Disk Management. 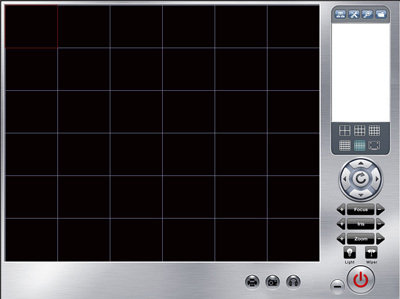 NOTE: The N version of the software (6.82N) is incompatible with non-N software versions (6.82). You will either need to delete your storage partitions and reallocate, or add more hard drive storage and allocate. If you choose to add more hard drive space, you can watch our YouTube video on how to do it. Includes all manuals for this software: instructions on how to use the Hybrid NDVR and CMS software, mobile phone clients, POS setup, Disk Management, Optional Matrix output for HC2 Platinum, Video Analytics setup, Network Backup tool, and NVMP for large video deployment. 1. Quit the DVR program. 3. Windows will ask you if you want to "overwrite the existing file." Select YES. 4. That's it. Re-launch the DVR software, and you shouldn't get the registration error any longer. 5. If you have a D1-HC3 system (purchased before August 2010), and you still continue to get the registration error, please try using THIS file instead. 2. Copy the DVSPass.dat file to this location: C:\Program Files\DVR Server. EDD2 Software-Compressed bundle - 116MB: Includes DVR Software, User Manual, Mobile Device Manuals, CMS (central management system), VLC Player (for playback). 1. Download newest software version by clicking on the "Download" link below. 2. Unzip the file. 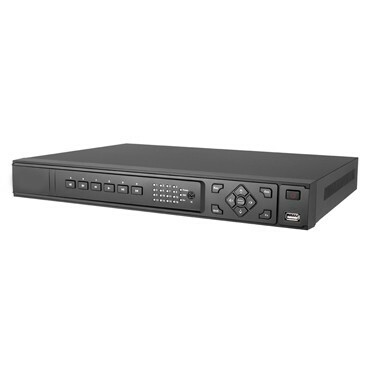 Once unzipped, you should end up with a folder called with a number of installations, which depend on what type of EDD DVR card you have, as well as your DVR's operating system. Please check the "READ ME FIRST" image file to ensure the type of card, and then the "Compatibility Requirements" to ensure compatibility with your PC. Then double-click on the appropriate PCI or PCI-Express folder. 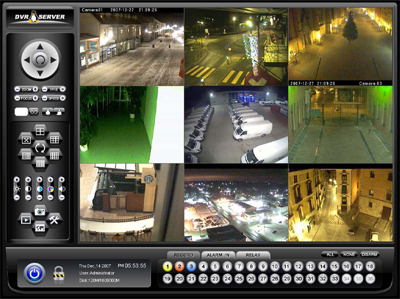 NOTE: Real-time cards are: 4ch 120fps, 8ch 240fps, 16ch 480fps, 24ch 720fps, 32ch 960fps. Non-real-time cards are: 4ch 30fps, 16ch 120fps. 3. Within each of the sub-folders is a Setup.exe file. Double-click the one which matches your operating system, and follow the prompts. Pay close attention to the section about choosing the correct video mode (DirectDraw ACC / GEN / Direct3D). Follow the prompts to complete setup. You will have to install the drivers one by one (hit "Continue Anyway" if it asks about installing unsigned drivers). So if you have a 24 channel DVR, then you will have to click "Continue Anyway" 24 times. 3. Exit the DVR software. Go to Start > All Programs > DVR > Uninstall to remove your previous installation. Then to remove any left over files from the previous installation, click on Start --> My Computer --> C: Drive. Right-click on the DVR folder, and click "delete." 4. Go to Start > Control Panel> System (double-click "System"). Click the "Hardware" tab, and click the "Device Manager" button. 5. Click the "+" icon to the left of "Sound, video and game controllers." You'll see drivers that repeat numerous times: one driver for every available video channel, up to 32 channels. Right-click on each and choose "Uninstall." You'll be presented with a warning. Click "OK."
7. Shortly after Windows launches, a system a dialog box with of "Found new multimedia device" will display, followed by "Video Capture Device" window.. Click "Cancel." Note: You may have to click "Cancel" several times, depending on the number of channels on the DVR Cards installed on your system because it will ask you once for every video channel in your system, up to 32. 8. Now, open the file folder that you unzipped in step 1. Within each of the sub-folders is a Setup.exe file. Double-click the one which matches your operating system, and follow the prompts. Pay close attention to the section about choosing the correct video mode (DirectDraw ACC / GEN / Direct3D). 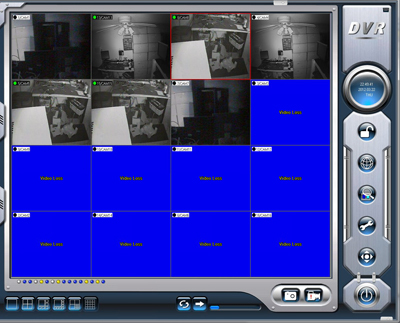 REAL-TIME: 4 channels 120fps, 8ch 240fps, 16ch 480fps, 24ch 720fps, and 32ch 960fps. NON REAL-TIME: 4 channels 30fps, 16ch 120fps. 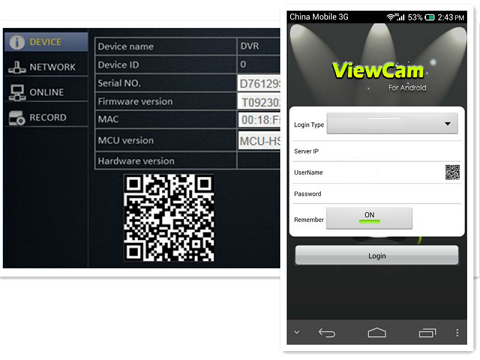 Includes v5.2 DVR Server Software, DVP Client Software v5.2. NOTE: To update your current "Help" file, go to "My Computer" and double-click on "Local Disk (C:)." You'll see a folder called "DVR." Drag the new "Help" file into this folder. Windows will ask if you'd like to "replace the existing file?" Choose "Yes." Your "Help" file has now been updated. You can always access the help file by launching your DVR Software and clicking the question mark icon at the bottom of the DVR Screen. The file can also be read by simply double-clicking it after unzipping the downloaded file. Please enable your activeX controls in Internet Explorer: (Tools --> Internet Options --> Security --> Custom Level). For every mention of "activeX controls", set your selection to "prompt" or "enable." There should be approximately 7 selections where this change needs to be made. If using IE 11 or higher, please add IP address to Compatibility View Settings (Tools --> Compatibility View Settings, Add, Close). 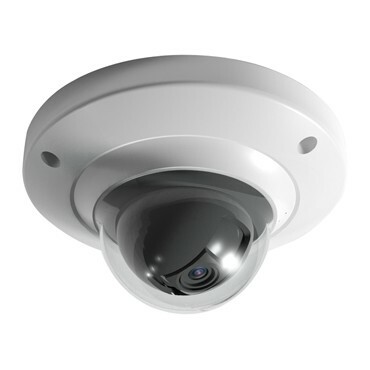 Use SADP to search for Hikvision devices and to configure their IP addresses. Ensure you have installed the latest version of Winpcap first. Use SADP to search for LTS Platinum devices and to configure their IP addresses. Ensure you have installed the latest version of Winpcap first. Client software, player, and tools bundle. 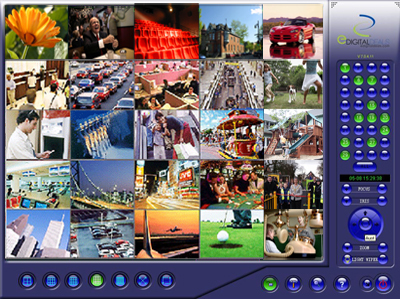 Includes CMS for Windows 32-bit, 64-bit, Mac OS; User Manuals. 120MB. For latest software and firmware, search by part number here.